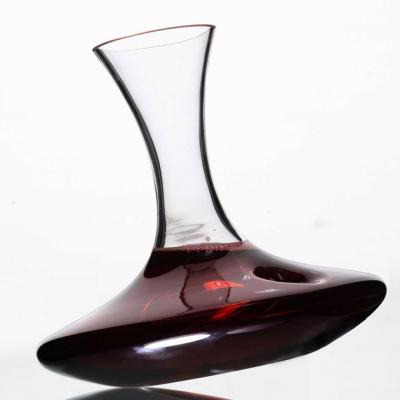 This glass aerator helps free your fine wine's aromas by oxygenating the wine as it passes through the aerator. The two holes at the bottom of the funnel are located about 1" from the bottom to allow for sediment to settle. The holes are smooth and finished unlike the previous model of this funnel. Please also see the decanter & aerator set 64636. 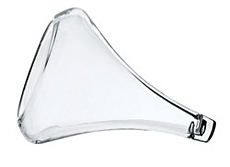 Glass funnel are designed with a little space at the bottom to filter the sediment.